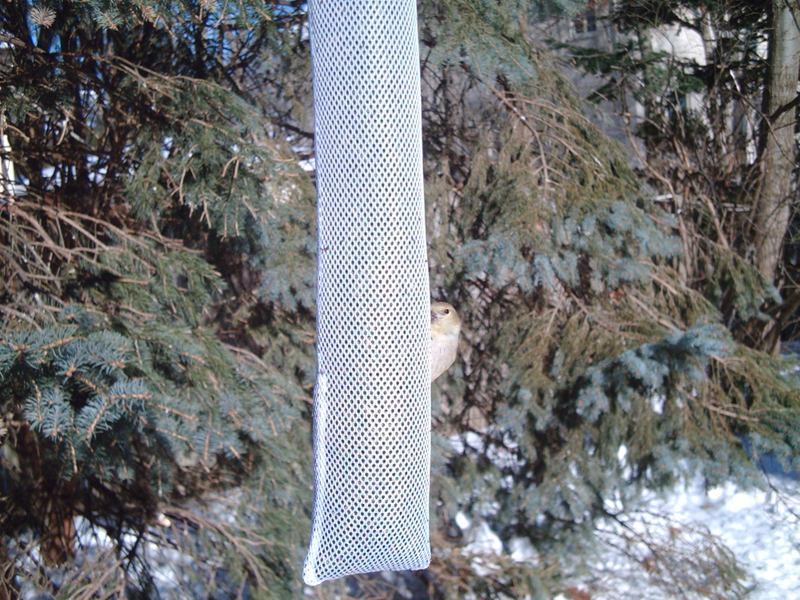 It took a few days for the resident American Goldfinches to figure out the nyjer sock but today they were out in full force. Well, maybe more like half force. 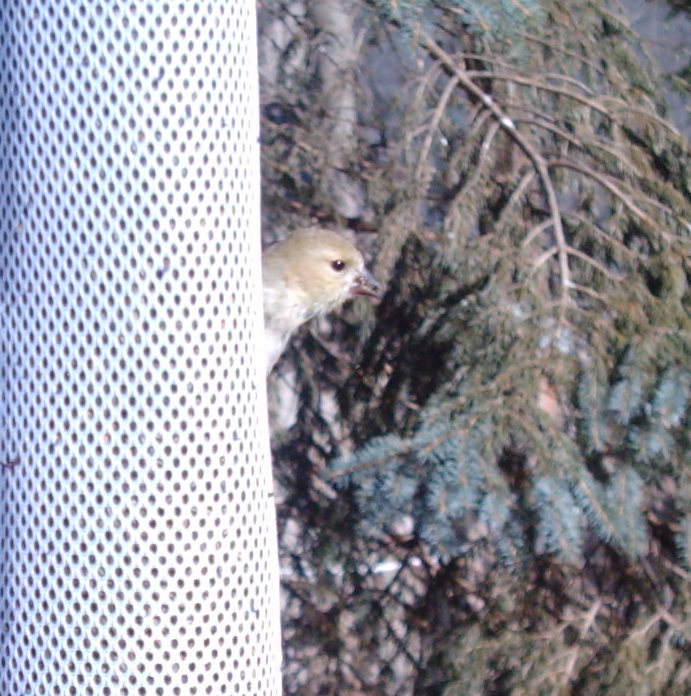 Every time I looked outside today there were two to four birds on the sock. 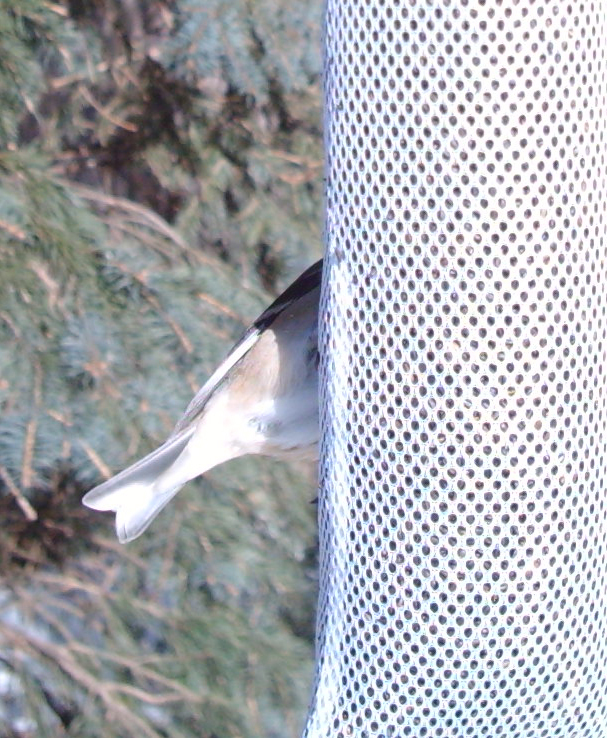 But the Birdcam only got peekaboo shots like these. 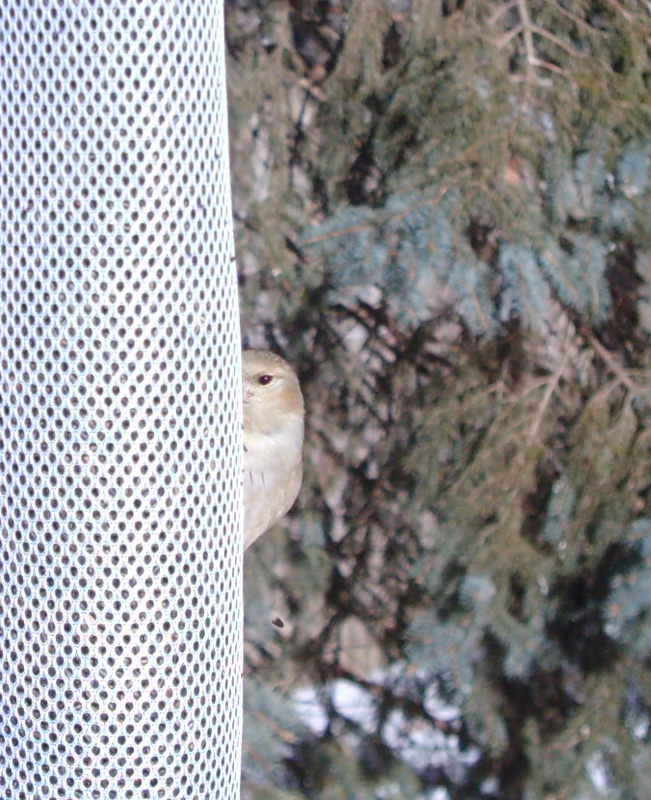 There were actually a LOT more photos like the last one, but this isn’t that kind of blog. 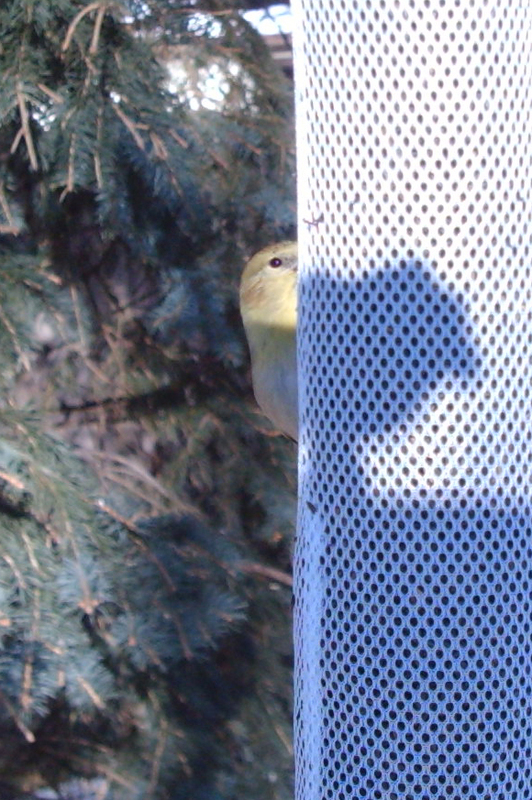 American Goldfinch is our 15th Birdcam yard bird.